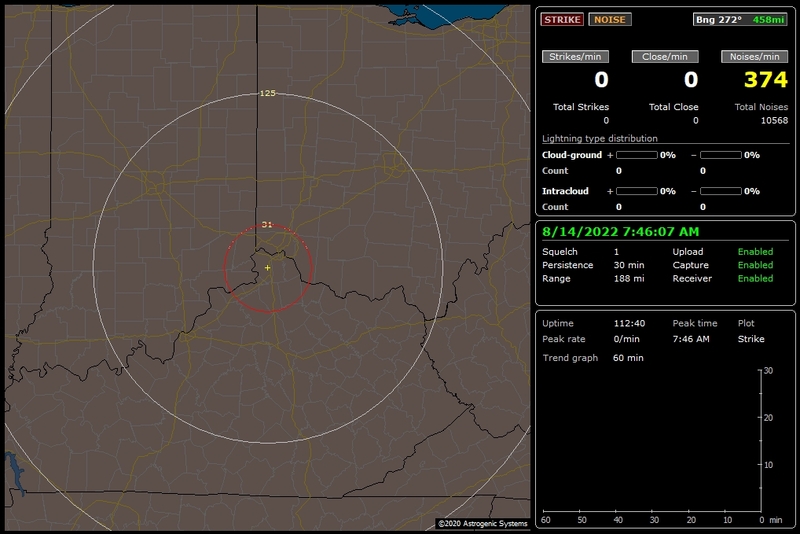 This lightning strike information is obtained by using a Boltek StormTracker lightning detector installed at my home. The display is generated using Astrogenic Systems NexStorm software. This page will reload automatically every 10 minutes.